Victims of car and motorcycle accidents go through really tough times with the trauma they suffer. They lose their property, joy, part of their body, and a bit of their existence. They are made to rue what might have been. Most times, they are unable to resume official duties. Hence, they become unemployed. Some of these victims sustain injuries that make them pay hospital bills for the rest of their lives. What this means is that they need financial and moral support. Hence, they should not be deprived of any form of settlement that is due to them. 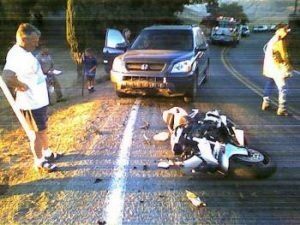 Sadly, car and motorcycle accidents do not get their compensation and settlement without a legal tussle or litigation and it takes a competent motorcycle accident attorney to handle and win such delicate cases. There are quite a number of legal outfits but only a few can offer superior five-star services like Rawa law group. At Rawa law group, our legal lawyers are specially trained to offer ethical legal counsel and this is done without any extra or hidden charge. These lawyers are also available for home and hospital visits. Also, appointments can be booked based on your own schedule. We do not receive a dime from you until we win your case. Our lawyers are selfless and they offer personalized representation and individual attention. Another reason for us to be considered is that we have garnered a lot of experience from previous cases. In fact, we have been in this business for a long time with over 55 years of combined legal experience. We have recovered hundreds of millions in settlement for our clients over the years. While other legal outfits charge clients for evaluation of cases, we do not. This is because we feel we have a responsibility to look after our clients. All in all, for your accident settlement claim, reach out to us on the contact details written below and we will surely oblige you. Rawa law group has the best set of motorcycle accident attorney in town.